Posted February 6, 2019 by Craig Kopp & filed under blog, Membership, Station Updates. A while back I watched a documentary called “Corporate FM”. I’m not going to do a shameless promotion here but if you want to find it I am sure you can. The documentary didn’t tell me much I didn’t already know about the state of radio – and how it got here. But it did give me a laser focus on one thing… local radio. You see, the documentary focused on some markets in different cities, and what corporate takeovers did to what locally-owned radio stations provided to their communities. It wiped out local news; DJ’s who answered the phones; fundraisers for sick kids; promotions for local groups and local events, and on and on and on. And all the people who lost their on-air jobs truly believed that the pendulum has to swing back… that locally-owned radio will, someday, again play an important role in their communities. I was immediately struck by the fact that Tampa Bay still has a truly local radio station that covers the entire market… that is still committed to local news… that still has DJ’s who answer the phones… that still promotes local groups and events… and on and on and on. Not someday…right now. That station is WMNF: The. Last. Local. Radio in Tampa Bay. Yes, there are other community radio stations in the area, and we support their efforts and always will. 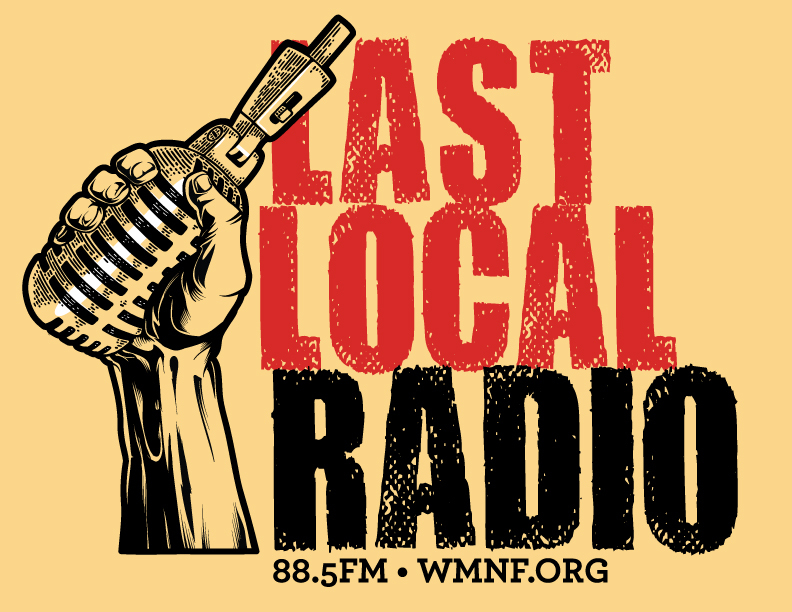 But WMNF is the last full-powered community FM in Tampa Bay. 7000 watts broadcast from a transmitter 1500 feet up a tower in Riverview. In a state as flat as Florida, that means we cover as much territory as any other FM station in the market. Being The. Last. Local. Radio isn’t a cry for help from a dying breed. It’s a rallying cry for a future that must include local radio for the health and vitality of the community we live in! Wednesday February 6 WMNF starts its Winter Fund Drive. 70% of our operating budget comes from our listener-supporters. Please consider making a contribution in support of The. Last. Local. Radio in Tampa Bay. And don’t contribute just for what WMNF has done in the past 40 years. Contribute to support what WMNF will do for the Tampa Bay community in the next 40 years as The. Last. Local. Radio in Tampa Bay!